If you are looking for a child psychologist in Derbyshire we can provide assessment and therapy for children, adolescents, parents and carers. 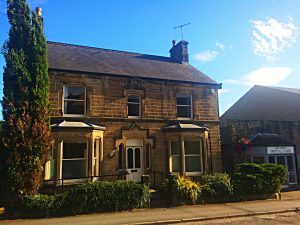 We are located at The Matlock Therapy Centre Derbyshire. The majority of our clients self-refer. Their child may be presenting with emotional, developmental or behavioural difficulties. Alternatively, being or becoming a parent may be impacting on their own emotional wellbeing or ability to cope. We provide psychological assessment and evidence-based therapies for children aged 0-18 and parents of all ages. Antenatal and postnatal psychology services are also provided. We work in collaboration with our clients to ensure that the therapies provided are tailored to each individual or family’s needs. Our team are compassionate, friendly and approachable and have trained and worked in around Nottinghamshire and Derbyshire for many years. Weekly clinics are held in Matlock Derbyshire by our lead clinical Psychologist Dr Jennifer Wilson. We accept referrals from most major insurance providers (except BUPA), local authorities, GPs and other allied agencies. Supervision, training and consultation are also available. Our Clinical Psychologists are BPS Chartered and HPCP registered. Trained to doctoral level, we provide thorough psychological assessment, formulation andevidence based therapies. We work in collaboration with our clients to ensure that the therapies provided have the closest fit to each person, family and/or organisation’s needs. Dr Jennifer Wilson, Clinical Psychologist (BSc, PGCert, DClinPsy, CPsychol) has over 15 years experience of working in Voluntary, Sector, Social Care, Healthcare, NHS and Private Health and Social Care settings. She has a special interest in childhood developmental trauma, perinatal mental health (ante and post-natal depression and anxiety), parenting and adults who experience long-term mental health difficulties as a result of childhood trauma.